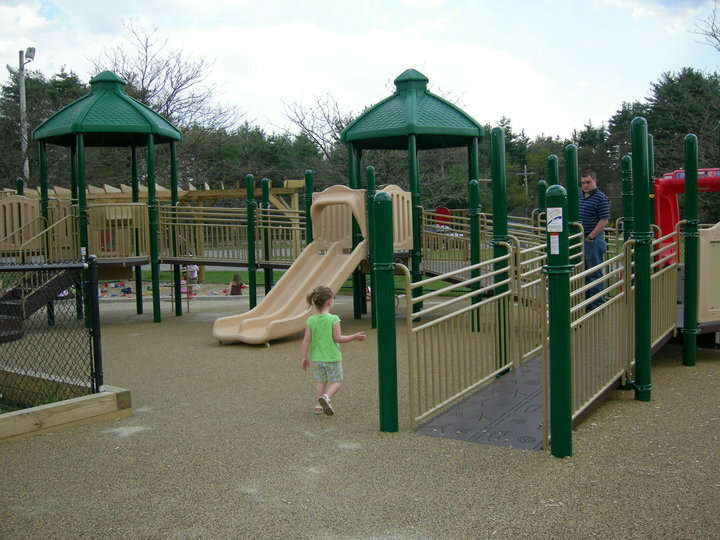 When one member of a family is disabled, it usually limits the entire family from using the play area. 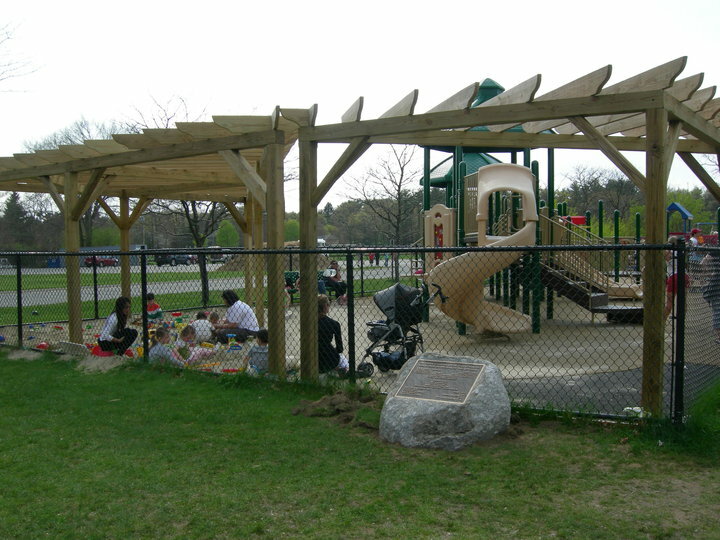 The SMILE Sudbury Playground Project Committee made it possible for all friends and family members to enjoy the playground together. 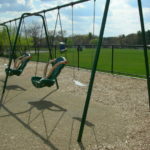 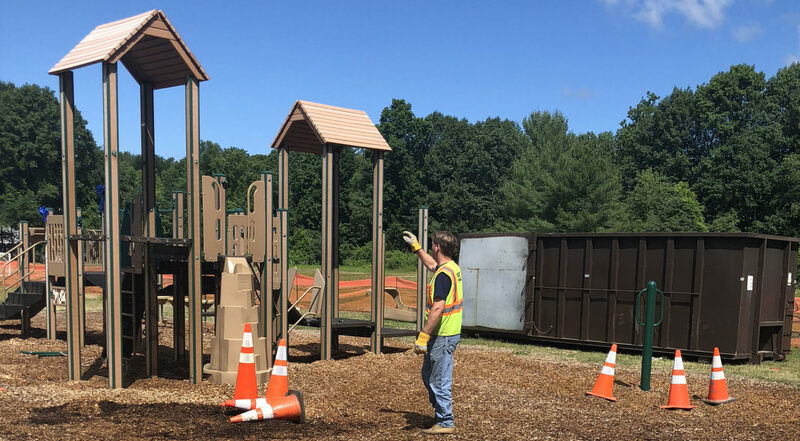 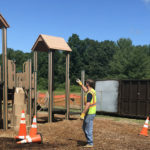 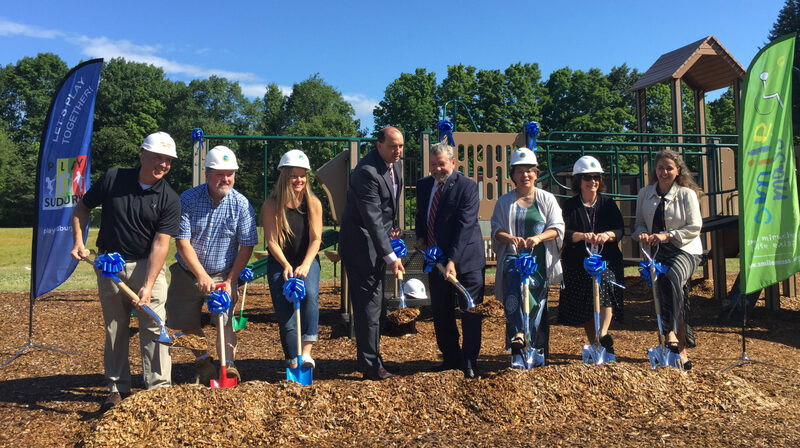 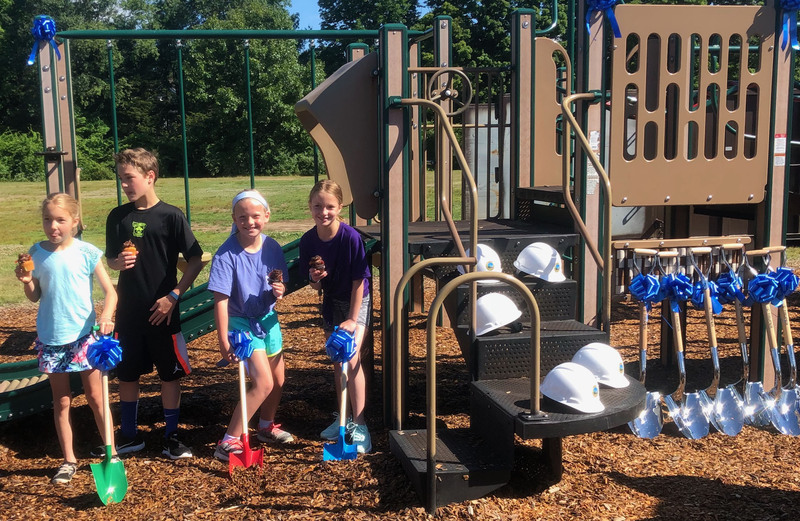 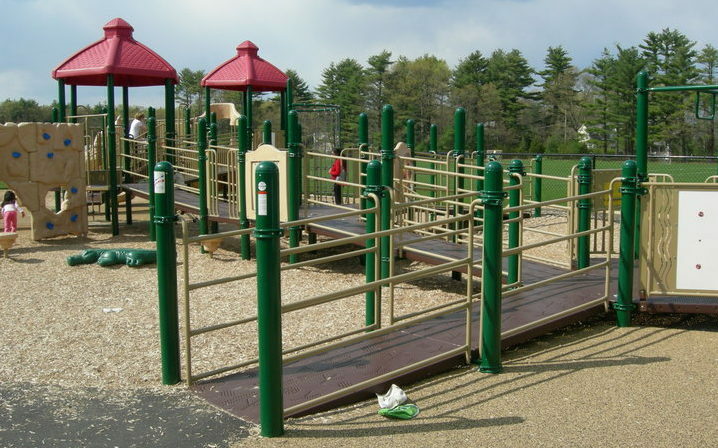 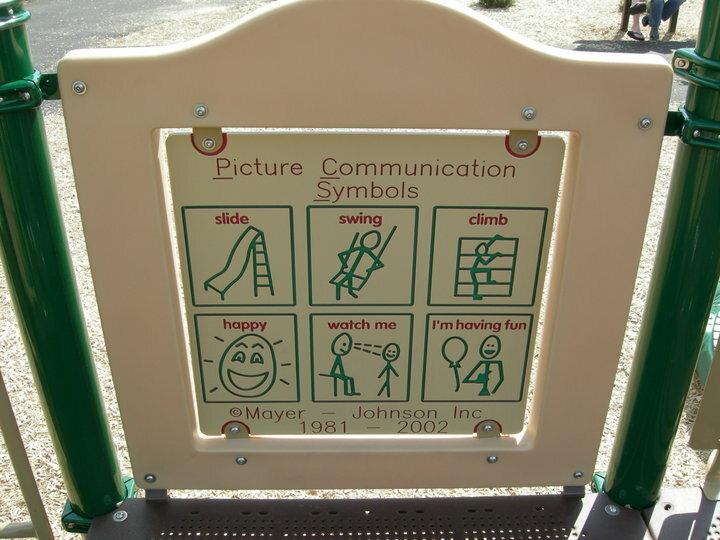 The goal of the SMILE — Simple Mobility in a Learning Environment — Sudbury Playground Project was to create the first accessible playground for the Metrowest community. 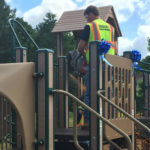 This initiative came about when Lotte Diomede, a Sudbury resident with a child with multiple disabilities, became aware of the limitations placed on the handicapped when trying to access the parks and play areas in Sudbury. 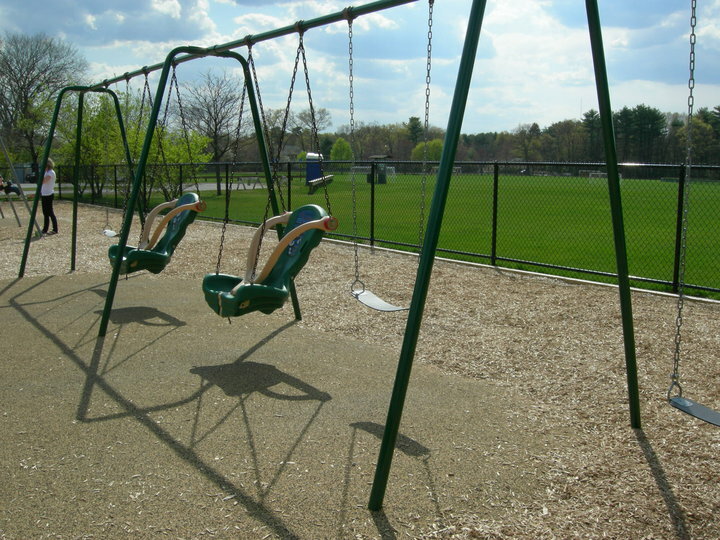 Lotte went to the town and asked for a handicap swing. 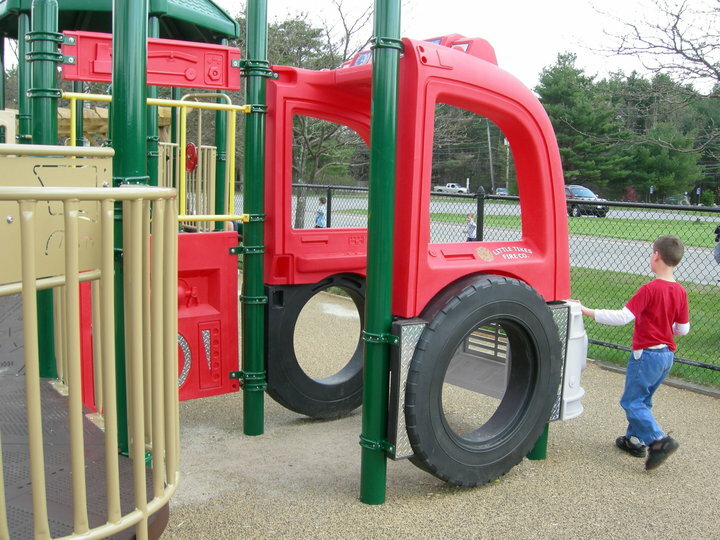 Being that town funds were scarce during the fiscal year. 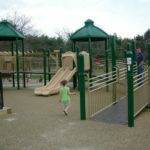 Lotte and Dennis Mannone, Sudbury’s Park and Recreation Director at the time, worked together to obtain a grant from Boundless Playgrounds. 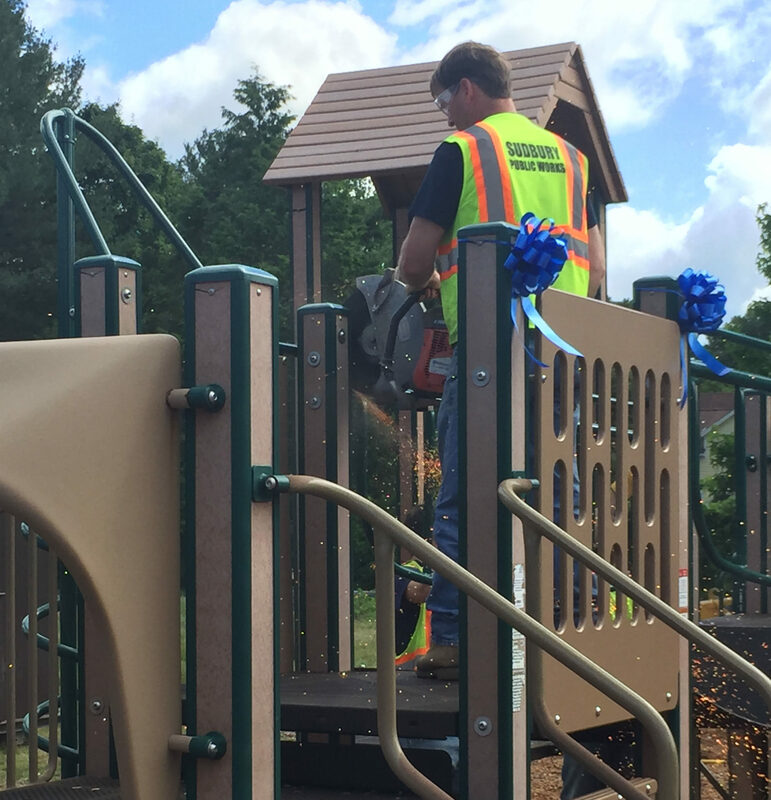 The $125,000 grant covered the initial expenses for the playground area. 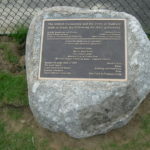 But more fundraising was needed to complete all of the renovations. 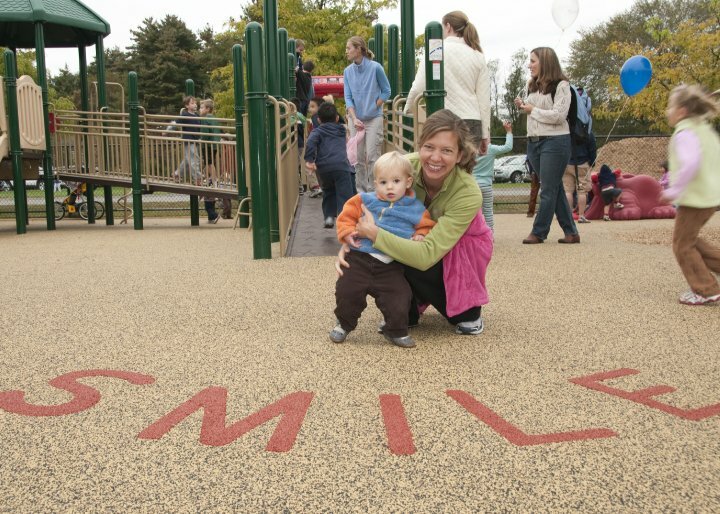 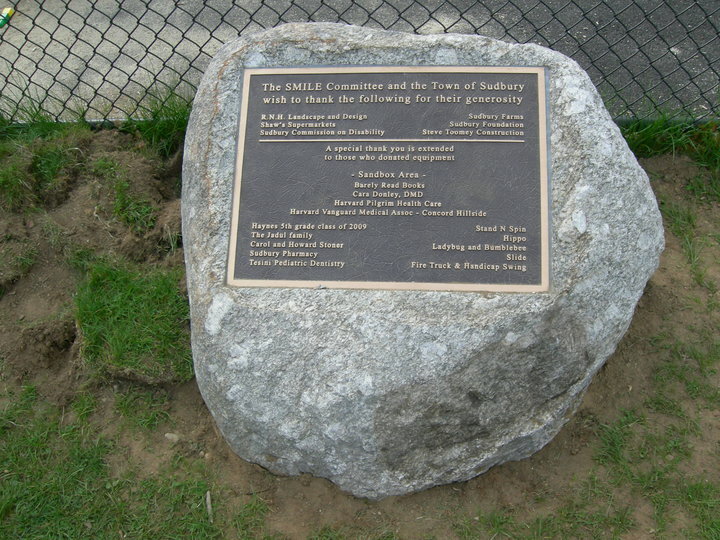 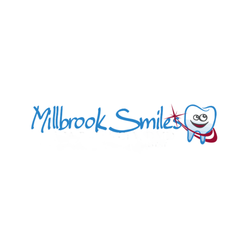 The SMILE Sudbury Playground Project Committee was created and took on the responsibility for creating public awareness of the project. 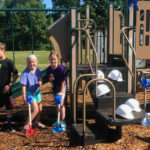 They involved the community in the development and creation of the playground and raised the additional funds needed to complete the project. 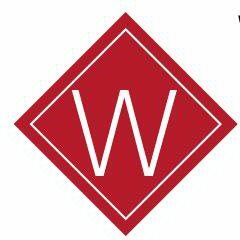 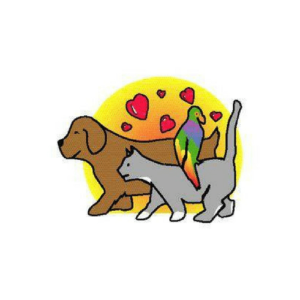 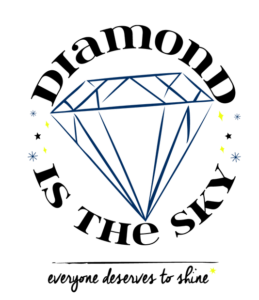 The committee raised an additional $140,000. 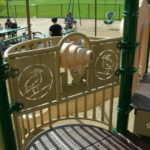 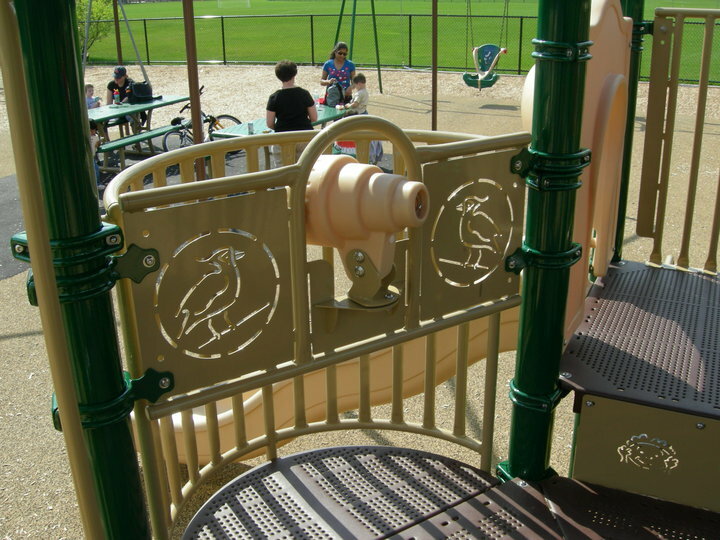 The end result is a beautiful and award-winning playground. 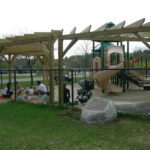 Sudbury now has a completely accessible play area that allows anyone with disabilities to be a part of a community area and develop physically, socially and emotionally. 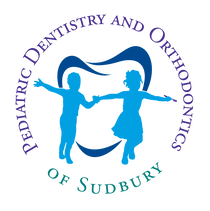 Children and young people without disabilities now have an opportunity to develop tolerance, awareness, and compassion for others in a fun and socially positive atmosphere. 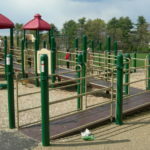 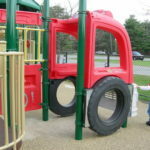 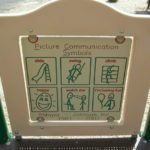 To see more images on the Sudbury Playground Facebook page, click here.